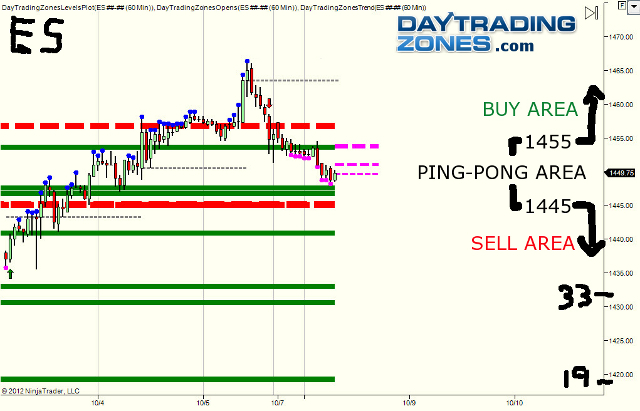 ES Ping-Pong Area 1445-1455 Area. Sell Zone below 1445 with targets at 1433 then 1419. Buy Zone above 1455. This entry was posted in Day Trading Education and tagged day trading tools, emini education, emini trading. Bookmark the permalink.